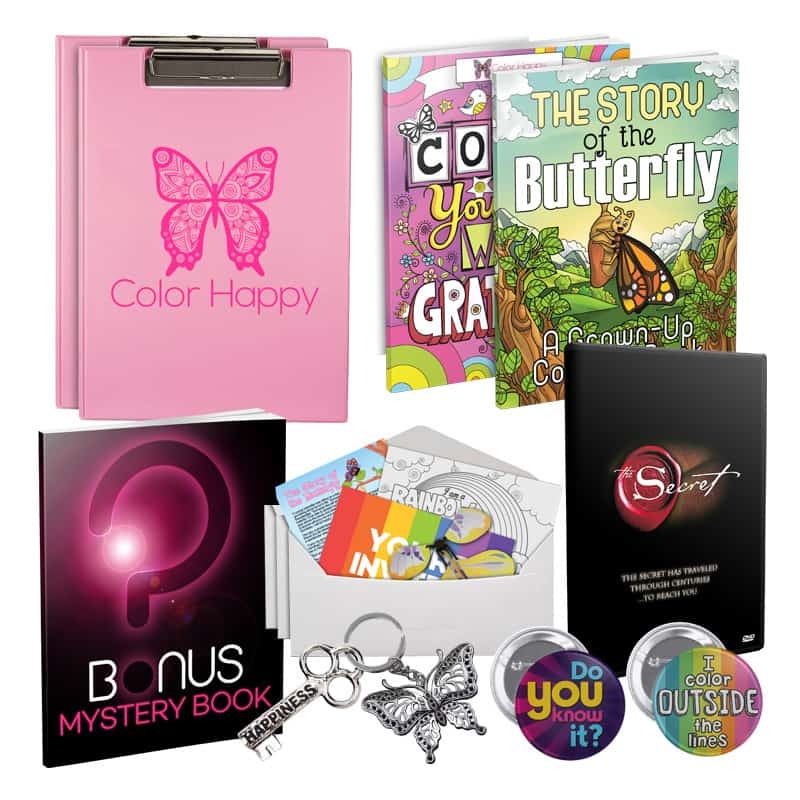 Enjoy Your Ultimate Colorist Accessory Kit Shipped To Your Door! You're Already Paying Shipping - Why Not Add-On Our Adult Coloring Designs And Mr. Sketch Gel Crayons for Just $22.95, With Free Shipping! Simply Click The Box Below And You'll Have Even More Coloring Fun Headed Your Way! ColorHappy wants our customers to be completely satisfied. All of our digital coloring packages come with a 30-day, 100% money back guarantee. If you are unhappy with the quality of your digital pages during the first 30-days of your purchase, simply contact our support department with the reason your pages disappointed you, and your request will be processed within 2-business days. If you are unhappy with your physical products, please contact us for a return address with the reason your package disappoints you, and mail your unused product back to us within 30-days of purchase. Your request will be processed within 2-business days of receipt.